Darholding and Pataki-Cahill Group announced in a press release this week their decision to sign an agreement to jointly develop and commercialize the proprietary environmental remediation technology developed and patented by Darholding. By signing the agreement, the Darholding group of companies is drawing on the Pataki-Cahill Group’s connections and consulting advice to establish US subsidiaries and strategic business partnerships. This will help get the products to market faster, assist in scaling up technology to commercially viable systems, and improve the process of securing field validation. Both sides envision this partnership as a vehicle to provide necessary solutions to a critical industry. The proprietary technology is a product of the Innovation Technology Laboratories division of Darholding in conjunction with its sister companies, ThalesNano and ComInnex. ThalesNano is a chemistry-based company that strives to make dangerous and difficult chemistry safer to perform. Founded in 2002, the company is highly regarded for its expertise in transforming chemical processes to micro-scale continuous-flow operations and developing manual or robotic continuous micro-reactors for the chemical industry. ComInnex is a chemistry and medicinal chemistry organization that focuses on the development of chemical technologies. Their current technology platform focuses on the development and utilizations of instruments capable of carrying out well-controlled reactions at extremely high temperature under second or millisecond contact time. ComInnex is also a leading new molecule developer for drug discovery. Using their expertise, they have created a technology with the potential to remediate some of the harshest contaminants, including PCBs. The solution can also be used to treat similar toxic materials from soil and river sediments and can even be used in fracking water treatment. "The Darholding group of companies has a long history of global success in developing novel disruptive technologies and transforming them to commercial application. We look forward to expediting the development of this technology as well as demonstrating its ability to clean difficult to remediate sites. We believe that our combined efforts can really make a difference in this field." President and Chairman of Darholding, Dr. Ferenc Darvas, echoed that enthusiasm by touting the Pataki-Cahill group’s long history of expediting other emerging environmental technologies. "The Pataki-Cahill group has successfully commercialized technologies in other breakthrough areas such as waste water treatment. We believe that the green track record of the Group is a great assurance that we can succeed in developing breakthrough results in the next few years in this field." By working to each other’s strengths, these two groups are working to bring soil remediation solutions to the market at a key time. Soil contamination is a serious problem that is easy to create, but exceedingly difficult to remedy. Whether it’s due to the closing of an industrial facility or careless business decisions, once the soil is polluted, there are dire consequences for the surrounding area. These consequences are felt in several different areas, reaching from the future use of the land, to irreparable damage to the ecosystem, and the high costs associated with the clean-up process. Decontaminating soil may sound like a simple concept, but in reality it is an intricate and expensive ordeal that can tax the financial abilities of any enterprise or administration. The problem that contaminated soil presents is the starting point for a four year project called Life I+DARTS that has been co-financed by the European financial instrument for nature conservation and environmental protection. 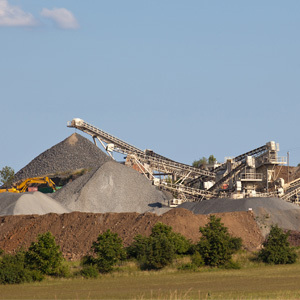 The overall goal of the study is directed at developing a protocol that would simplify the recovery of soils contaminated with arsenic and other heavy metals that can be found in mining and industrial sites through the application of innovative and sustainable remediation technologies. The project was launched in 2012 and will conclude in 2016. The project is taking place in the principality of Asturias, Spain. The closing of several mining and industrial facilities have left the ground in this area polluted with arsenic and various other heavy metals. The presence of arsenic and these heavy metals complicates the remediation process because arsenic has such a complex geochemical behavior. The team on the ground in Asturias is working diligently to apply innovative, yet sustainable solutions to decontaminate the soil. In their two years, the project team has unearthed some interesting results. The team found that certain plants, such as the birch, willow, yellowhead, and leguminous plants can accumulate heavy metals and arsenic. These interesting results could lead to future breakthroughs in better methods of decontaminating soil. 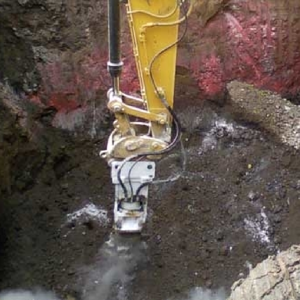 Currently, there are three common strategies that are used for soil remediation purposes. The first strategy involves excavation and transporting the pollutants to be disposed in landfills. 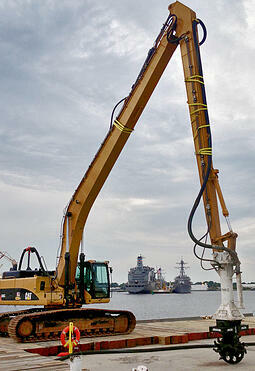 This is one of the most expensive options because the cost of removing the excavated soil is prohibitive. The second process focuses on containment, but that is also costly and not as effective as one might wish. The last method is to remove the contaminants through physic-chemical or biological technologies. This final method is the only method LIFE I+DARTS considers because the first two options are not only more expensive, but ultimately, they are less sustainable options as well. After two years of hard work and reaching the halfway point, the research is promising. Unfortunately, the problem with pollution isn’t going away. 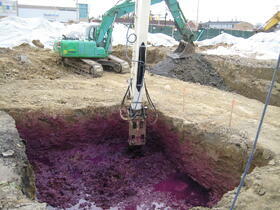 There are stories everyday about new soil remediation projects beginning. It is with that knowledge that the LIFE I+DARTS team hopes the next two years will yield even more insight on how to handle a delicate, expensive issue. When harmful contaminants are introduced to soil, it has significant consequences at several levels of the ecosystem. Soil remediation efforts to purify the land are a necessary effort to restoring the soil and allowing it to produce useful crops in the future, be used for buildings, or even be used for parks and wildlife preserves. There are few methods that currently exist to detect the level of contamination in a land area. The most prevalent method is to take a soil sample, ship it to a lab for testing, and then find out the results a few days later. This method has obvious points of potential improvement, the most significant one being the amount of time it takes to determine the severity and extent of the contamination involved. CSIRO Industrial Research Services and their global distribution partner Ziltek have just launched a new handheld soil contamination detector in the U.S. market. 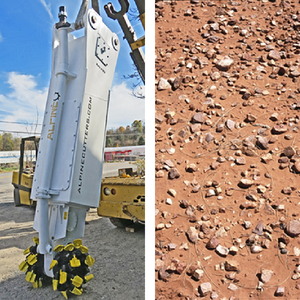 The product, which has been received with success in New Zealand and Australia since 2012, sees its opening in the North American market as a major turning point in the soil remediation industry. The new handheld detector can be used to diagnose the level of contamination in areas that have been affected by petroleum pollution. The device makes use of an infrared signal to directly measure the presence of petroleum hydrocarbons in the soil. Using infrared signals greatly improves the speed at which an accurate reading is acquired. Initial reports say the results return in as soon as 15 seconds. The expected savings this type of device could produce reaches into the millions by cutting laboratory and labor costs. Bringing quicker, more efficient methods of contamination detection is going to help soil remediation efforts in remote areas and regions where laboratories are not as accessible. Right now the RemScan device only applies to oil detection, but CSIRO and Ziltek are already working to extend the technology to other contaminants. It will be interesting to see how this innovation works on the markets in the U.S. and if the product lives up to the promise. You can read the full article at infolink.com here.